It’s funny how certain parts of a team’s history fall through the cracks, forgotten by most fans and remembered only by die-hards. Close to 30 years ago last night, April 20, 1980, the Seattle SuperSonics and Milwaukee Bucks were matched up in Game 7 of the Western Conference Semifinals, in a series so close it could have gone 70 games. It is a forgotten parcel of Sonic history, but shouldn't be. It was a clash of two superb teams, including names like Williams, Johnson (4 of them! John, Marques, Vinnie and Dennis), Sikma, Silas, Brown, Lanier, Bridgeman, and Moncrief. True, it wasn’t a Boston-LA epic involving dozens of Hall of Famers, but it could possibly be the greatest almost Hall of Fame Game ever. The two head coaches involved – Lenny Wilkens and Don Nelson – now stand first and second in wins all-time, and are both members of the Hall. Game 5, in Seattle, had an announced attendance of 40,172, the largest in 41 years of Seattle basketball. In seven games, the two teams combined to score 1,424 points; 716 for Milwaukee, 708 for Seattle. Of the seven games, two went to overtime and six (!) were decided by five points or fewer. Milwaukee had won the Midwest Division that season, while the Sonics were second to the Lakers in the Pacific. Fresh off a title the year before, the Sonics drew 890,713 folks to their games that season, which ranked first in the league. The next closest team – Boston – saw 596,349 attend their games, nearly 300,000 fewer than the Sonics. Neither team was loaded with popular stars, and neither team had a league leader in any NBA category. True, Dennis and Marques Johnson earned spots on the All-NBA second team, Jack Sikma, DJ and MJ made the All-Star team, and Dennis Johnson (first) and Quinn Buckner (second) both played their way onto the All-Defensive Team, but this wasn’t Kareem, Magic, Bird, and Dr. J. Not by a longshot. 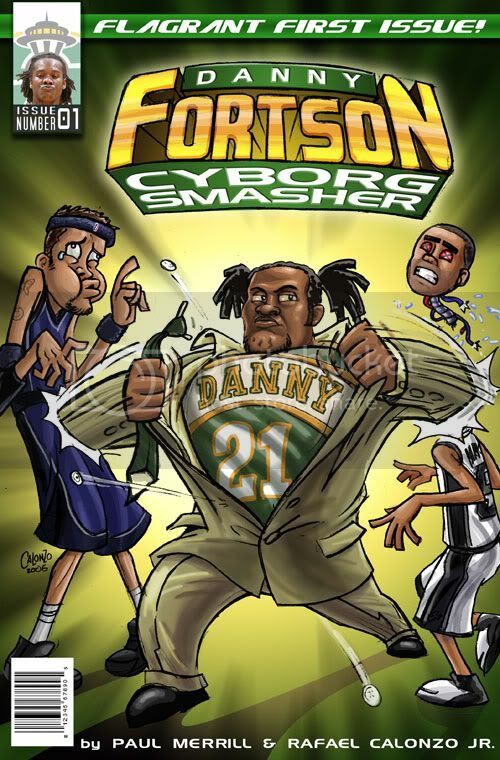 What this was, though, was a classic series. The Sonics, buoyed by Gus Williams’ 30 points, beat Milwaukee in overtime in Game 1 – by one point. The Bucks matched them in Game 2 with another overtime win – by two points. The Bucks would go on to win two of the next three games, meaning the Sonics, down 3 to 2, faced a must-win contest at Milwaukee in Game 6. And win they did, earning a nail-biting 86-85 win before 10,938 at MECCA Arena. With the series now deadlocked at three apiece, it was back to Seattle for Game 7. With Mike Parrott dueling Pete Redfern at the Kingdome, the Sonics returned to the Colisseum, meaning they would not have the benefit of 40,000 green and gold-clad fans to cheer them on. With the Lakers waiting in Los Angeles for the victor, the Sonics finally put an end to the series with a 98-94 win, as Gus Williams poured in 33 points and Lonnie Shelton grabbed 15 rebounds. 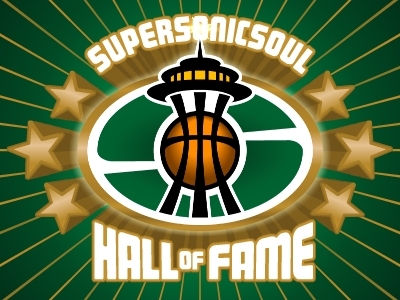 And, that, essentially, was the last glory day for the late 1970s Seattle SuperSonics. The team which earned consecutive trips to the Finals would never again advance to the Conference Finals, not until the roster had been completely purged, the coach let go, and all remnants of the Brown/Sikma/Williams/Johnson/Wilkens era completely dissolved. For one night in April 1980, though, they were still a talented team, one capable of returning to the promised land one more time. A Game 1 win over the Lakers in the Western Conference Finals proved to be an illusion, however, as the Sonics dropped four straight and watched the championship series on their television sets. That summer, Paul Silas retired, Gus Williams held out for the entire season, and Dennis Johnson's continuing problems with Lenny Wilkens proved to be too much for the Coach/GM to handle, prompting a trade to Phoenix for Paul Westphal. That season, with their defensive stalwart now long gone, their spark plug point guard holding out, and their conscience in retirement, the Sonics failed to qualify for the playoffs, and the glory days of the greatest professional sports team in Seattle's history were over. Thank you for posting the story of this great match-up. To me, it was the greatest NBA play-off series I've ever seen. Not only were the ending scores close, but each game was close from beginning to end. I don't recall either team ever having a commanding lead in any game. These two teams were so evenly matched. You're right in saying that if this were two teams from major markets it would proudly hailed as the best series in NBA history. Since the teams were from Milwaukee and Seattle, we can be thankful we were able to watch it and know something the rest of the country doesn't.